Description: Car Spa is a business categorized under service station equipment, which is part of the larger category others miscellaneous retail. Car Spa is located at the address 6856 Highway 85 in Riverdale, Georgia 30274. 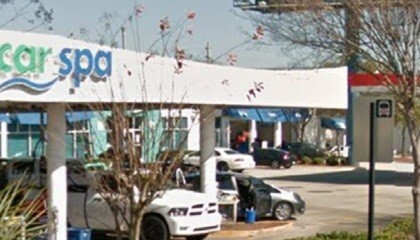 The Owner is Ralph Guarino who can be contacted at (770)692-0653.
Review: Car Spa is a national car care retailer that offers high quality exterior soft cloth car wash, full-service car wash, car detailing, lube, emissions/state inspection, and headlight restoration services. Stop in and see us today! Location & access map for "Car Spa"